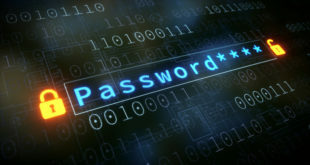 Two-step verification (also known as Two-factor authentication, abbreviated to TFA) is a process involving two stages to verify the identity of an entity trying to access services in a computer or in a network. This is a special case of a multi-factor authentication which might involve only one of the three authentication factors (a knowledge factor, a possession factor, and an inheritance factor) for both steps. If each step involves a different authentication factor then the two-step verification is additionally two-factor authentication. The implementation of the second step requires a mobile phone or the Google Authenticator application, which is an application of the possession factor. If the user opts to use a mobile phone, he/she has to register his/her phone number with Google. When one attempts to authenticate with username and password, Google will send via SMS a new, unique code to the phone. Receiving the SMS demonstrates that the user has the phone (or, in the case of GSM like networks the appropriate SIM chip). If the user opts to use the Google Authenticator (or another supported code generator application), he/she simply opens the application, which generates a new code every 30 seconds. This code is to be entered to complete the log in process. 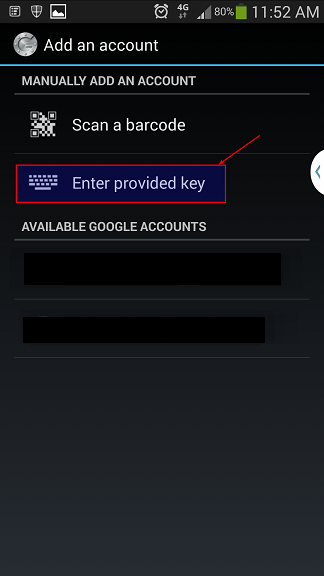 As a backup option in case the registered mobile phone or device running Google Authenticator is lost, stolen, or otherwise unavailable, the user can print a set of static single-use backup codes (also the knowledge factor) and store them in a safe place. 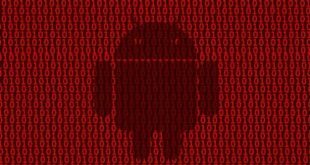 Google Authenticator implements TOTP security tokens from RFC6238 in mobile apps made by Google, sometimes branded “two-step authentication”. The Authenticator provides a six digit one-time password users must provide in addition to their username and password to log into Google services or other sites. The Authenticator can also generate codes for third party applications, such as password managers or file hosting services. Some versions of the software are open source. Note: Google Authenticator doesn’t “call home” to Google — all the work happens on your SSH server and your phone. 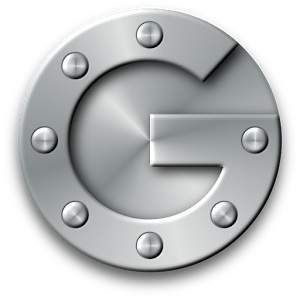 Google Authenticator is a open-source software, that means you can check the codes yourself. I guess after what happened with openSSL, that’s not a bad idea after all. I am not too sure if you can use this on a Windows Based phone (i.e. new Nokia phones or Windows Mobiles devices). Feel free to try and report back. The implementation is exactly same except for some package name differences. So you can implement this in any Linux Operating System that uses these packages. A running SSH server on your machine. 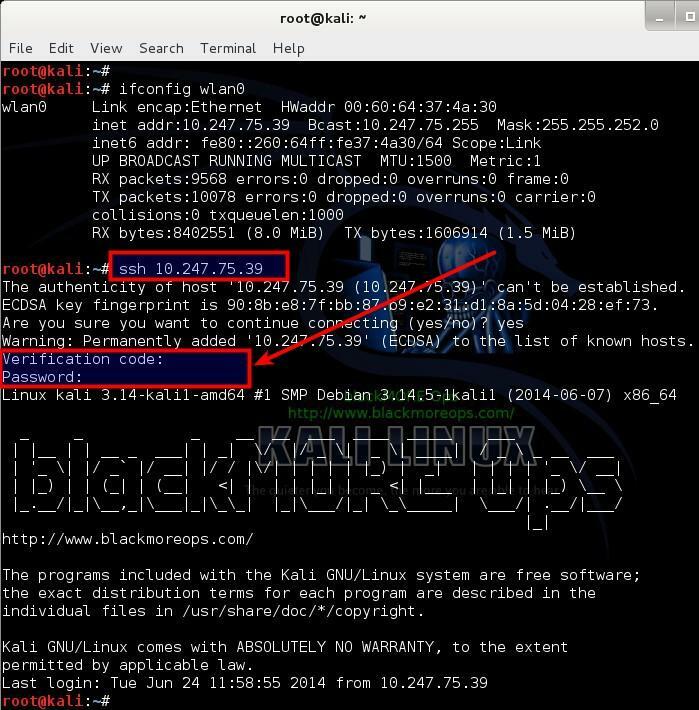 In case you don’t have SSH server running, just follow this guide to install openSSH server. Google Authenticator is available on GoogleCode website. You can just copy paste the codes below to download and extract Google Authenticator codes. 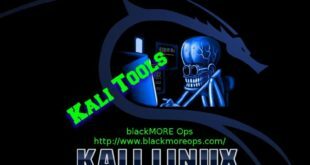 I personally use Kali Linux, that means I am always logged in as root user, if you’re using any of the other Linux distributions like Debian, Ubuntu, Linux Mint, Red Hat, CentOS or Fedora where you don’t usually login as root user, then you should choose your own directory to download and extract these codes. At the time of writing this article, v1.0 was available. So far we’ve installed dependencies, downloaded and extracted Google Authenticator PAM module. Now we need to compile the codes and install compiled software on our system. It should present you with bunch of question where you get to choose Y or N . Let’s have a quick look at those questions and the outputs. So on your first question, you get a secret key, Your new secret key is: WKHM6UVJNTPYSPTQ and 5 emergency scratch codes. You use the emergency key on your mobile so that you can get the correct verification code next time you login. Emergency codes are used when you’ve lost your mobile. 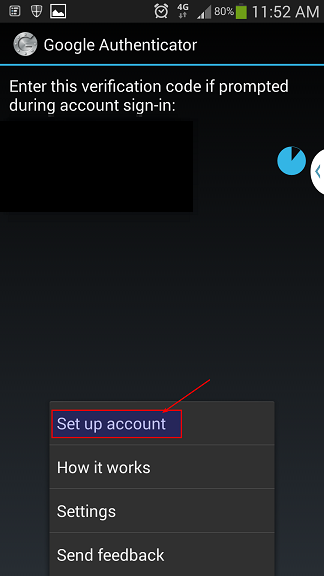 Next it asks you if you want to use this for your root account? Me being root users, I’ve chosen Yes. Next up, it asks you if you want to disallow multiple uses of the same verification code. Unless you have a good reason not to, choose Yes. Next part is time based login. From the point of getting the code on your mobile to typing in to your login prompt, 30 seconds should be more than enough. If you’r time sync is bad on your system or you’ve giving the code to someone over phone or you are a VERY slow keyboard warrior, I see no reason to change it. Select Yes here. Last up, well, of course we want to enable rate-limiting, by enabling this, you ensure that only 3 login attempts every 30s can be made. 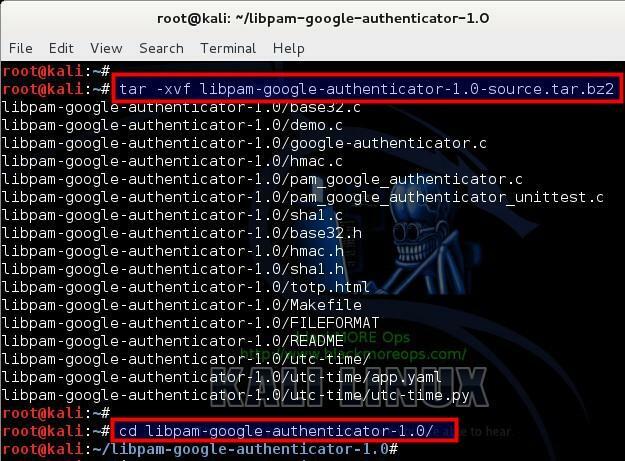 This finishes your initial setup for Google Authenticator PAM module. 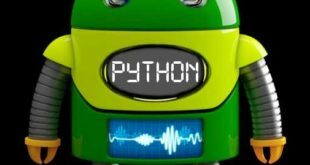 Now we need to configure PAM and SSH to actually use this technique. This is really awesome. Note: Leave this terminal window open (DO NOT CLOSE). We need the codes for next steps. Why 4 commands? Depending on your Linux distribution, some refers SSH Daemon as SSHD, some as SSH, some got service module installed, some requires you to go into /etc/init.d folder and restart SSH service manually. Assuming you managed to install the App properly, Launch your Google Authenticator app in your SmartPhone. 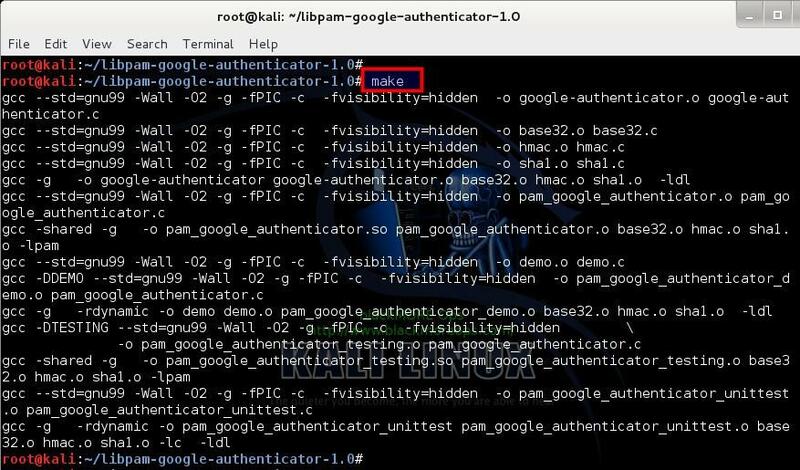 Remember the secret key you got when you initialized Google-Authenticator PAM module on your computer? I hope you still got that window open. Select Enter provided key. Next window you give it a name (something you can remember or relates to your workstation .. i.e. Home Workstation or My SuperAwesome LinuxBox … I’m going to use blackMORE Ops as the name. Type in your Secret Key on the next field and click on Add button. Once it’s added it will generate a one time verification code (pin number) that will keep changing every 30 seconds. Because I am doing all these in the same computer I will just login to localhost (IP: 127.0.0.1) If you got 2 or more machines or VirtualBox/VMWare machines then you can try to login from a different one. One thing to note, you MUST have SSH server running. and immediately you see a prompt asking for Verification code. 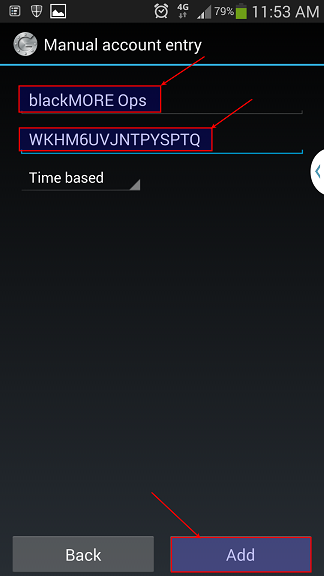 This is your Google Authenticator code that you get from your Google Authenticator Mobile App. 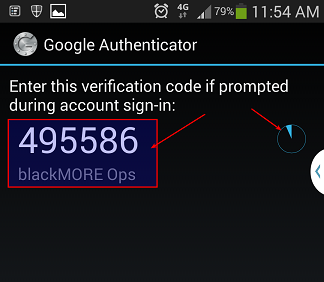 Type in the numbers from your SmartPhones Google Authenticator App and then it will prompt your for your password. Type in your password to login now. If you failed to type in the Verification code within 30 seconds, you have to try the next code shown on your SmartPhones Google Authenticator App. Awesome? Wouldn’t you agree? Got a response from the dev behind the Google Authenticator add-on for Chrome, Gerard Braad, who explained that Google have taken it down but gave no explanation as to why even after being asked several times. The Firefox version is still available though and work great. Hopefully he may look into the issue with the Chrome version and re-submit. 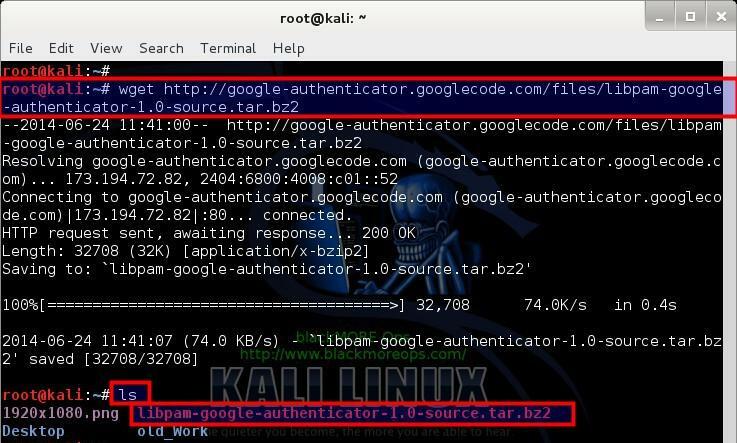 Securing SSH with two factor authentication using Google Authenticator is possibly the best security model you can out there for free. You can always restrict SSH by IP, change port, rate-limit and do all sorts of crazy stuffs. But those who wants to open SSH to the outside world and implement all these extra security models (i.e. Brute-force detection etc.) have to constantly worry about the fact that who is trying is and what you’ve missed while securing your system. 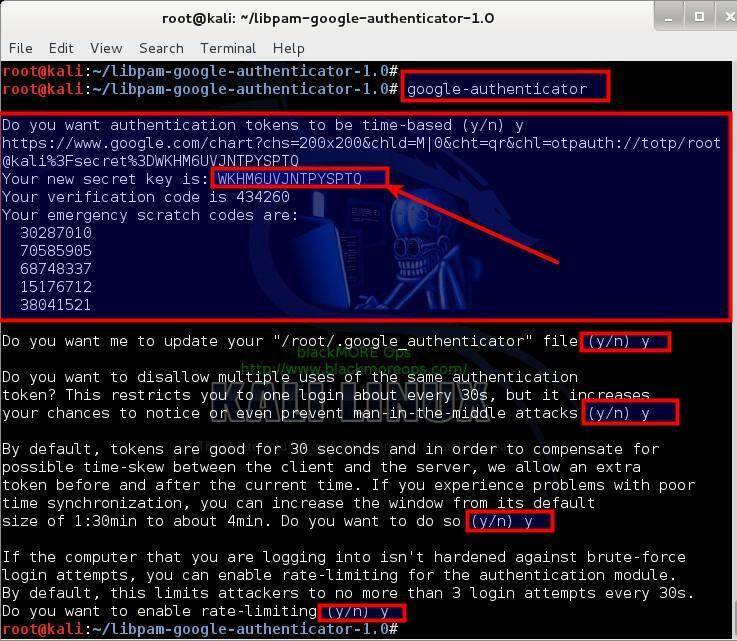 Securing SSH with two factor authentication using Google Authenticator possibly relieves you from that worry and you stop getting emails in the middle of the night saying someone tried to login via SSH X amount of times. But there’s always other ways to ensure your connection remains secure. VPN is considered to be the best solution to encrypt data. Learn how to setup VPN here. Let me know you thoughts and if you’ve found this useful. Thanks for reading and being on my website. Please share. This would be best for System Administrators on any Linux systems. Very useful but… after following the steps, restarting SSH, I still don’t get asked for the verification code. Any ideas? 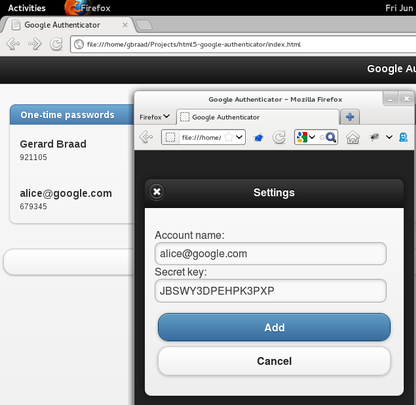 Also, does the .google_authenticator file need to be owned by my user or root? Thanks! You possibly missed a step from 3,4,5. Double check please. 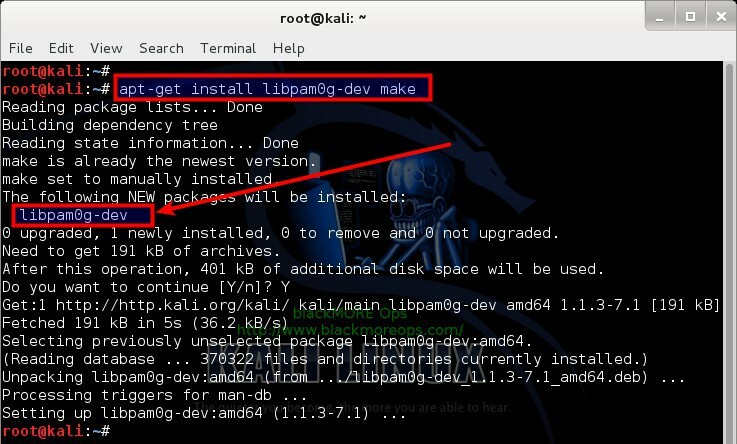 This worked everytime for everyuser in Debian and Kali alike. No, nothing for you to do in regards to file permissions. Also if you open a terminal is your own desktop, it doesn’t use SSH, it uses a local terminal. You must [email protected] to test which means you also need to setup SSH server. Easy though. All included in the guide. I had to copy /usr/lib/security to /usr/lib64/security then it worked. “he/she has to register his/her phone number with Google” – it’s all part of Google secret plan. Go ahead, give Google your phone number, you will no longer need to worry about call recordings. If you’re using Android phone then you’re already exposed. Aren’t we all in some way exposed to Google? Sad but true! Btw Google Authenticator doesn’t call home. Try using it in Aeroplane mode or without a Sim. Still works. You do not need to add a phone number. The secret key is generated by yourself. Thus it might be more secure, that buying an RSA token, where the selling company keeps your secret keys and thus your identity. I prefer hardware tokens that can be seeded like the Yubikey, the eToken NG or eToken PASS. Then you know, that your buggy computer or smartphone will not loose the secret key and you know, that you are the only owner of the key. So this is a legit scenario, that in fact increases your securty. Nicely and detailed written! 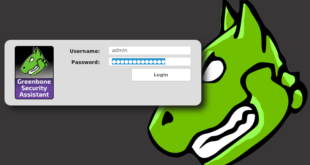 By the way: If you like to authenticate with many different users or different authentication device types, you need a complete backend like privacyidea (see https://www.privacyidea.org/documentation/howtos/manage-two-factor-authentication-in-your-serverfarm-easily/) which makes the setup slightly more complicated – and more flexible. Again, thanks for the howto. by the way – forgot to mention. As this uses TOTP, you might as well use the App “FreeOTP”, which is an open source “clone” from Redhat. It supports nearly every authentication solution and can be enhanced by plugins if there is something missing. I very much hope, this is not your OTP token? I managed to retrieve the secret key from the video. Hahaha hahaha that was gold cornelinux. I cracked reading the video description but your comment made me lmfao. Yes, blame on me. It started me, that at 1:07 the “Security Key” was blanked, but the QR-code was not. So I screenshotted the qrcode, added the third rectangle that was missing in gimp and was – due to error correction – able to scan the QR code. This is when I wrote this comment. Hm, then continue to watch I see, that he enteres _another_ (fake) security key manually. Finally at 2:19 you are able to scan the complete key. The google authenticator is a great idea and easy to deploy. But the secret key is contained in the QR code in plain text! So you have to take care, when enrolling your token and not expose the QRcode to anybody. It is great that you can print out the qrcode and put it into the drawer for backup. But the same way, this is an attack vector. I was trying to figure out why I wasn’t being asked for a verification code, but then realised this doesn’t seem to work with certificate login – at least with the configuration I am using. Is it possible to configure things so you can log in with certificate and Google Authenticator? Very nice write-up! I really appreciate it. Worked perfectly on my CentOS 6 server. 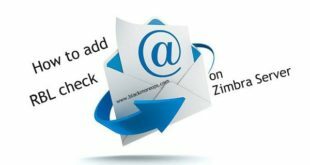 How to disabled verification code for other user except root user because ChallengeResponseAuthentication is enable so it wont allow us to log-in from other user. Hi everyone, for those who have got it to work, can anyone share their sshd_config file? I want to use that 2F OTP with Google Authenticator but there is one problem: I have a couple of shell scripts that logon via SSH. How do I manage to get them work with that? My first idea was get a code generator app that is configured to generate matching verif.codes for logging in, but how do I give/insert/transmit them to the target system? you can run OTP auth (via PAM) and RSA Pub Key auth in parallel. I.e. if the user provides a public key, there is no need for OTP, as the PAM stack is not processed. Your process could then have an ssh key. Users might log in with OTP. So it’s not possible to logging via script to an user that is secured via Google Authenticator? You can calculate the TOTP or HOTP value. But i see no benifit in doing so. In my opinion it is less secure than using ssh keys – as far as the script is concerned. The script needs to contain/or have access to the secret key. It needs to implemet TOTP or HOTP. And you have to play around with “expect”. Thats it. Of course there needs to be an application that generates codes and the script needs to have access to it. But how do I manage to give that code to the target machine? To be honest I just want to maintain one authentication method and since my smartwatch has a Google Authenticator App I would prefer this besides the password. Chris, if you intend on using OTP, you need to take a look at “expect”. This tool waits for certain text (lile “password: “) and writes corresponding text to stdin like “yourPasswordOTP”. At the moment I do not know, if it works fine with the ssh client. But this is the tool you need to use in suche cases. This comment section just got more interesting than the actual post. @Chris, I tend to agree with using SSH keys for scripts. Add IP white-listing and it’s pretty secured. If you are using PAM to authenticate with FTP it shoul(TM) be possible. 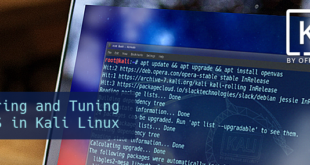 How the verify the sync is happens between my mobile and linux server ? How to verify the sync is happens between my mobile and server?